This time let's look into taking account not only the single pixel but the pixels around it. 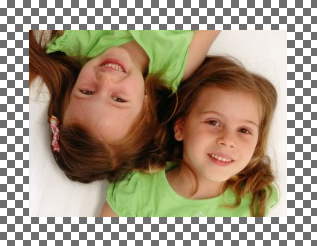 This allows you to do all kinds of effects, the most popular being emboss, edge detection, blur and sharpen. 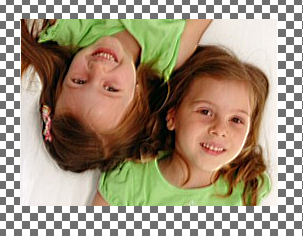 The type of manipulation we'll consider is called image convolution using a 3x3 matrix. 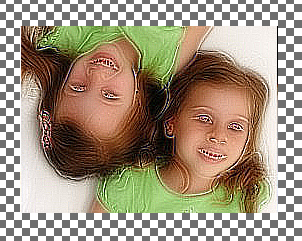 You take 9 pixels from the image: the current pixel you're changing and the 8 immediately around it. In other words you want to change the RGB values for the pixel in the middle based on its own value and those around it. Now you take one of the channels, say R for example. 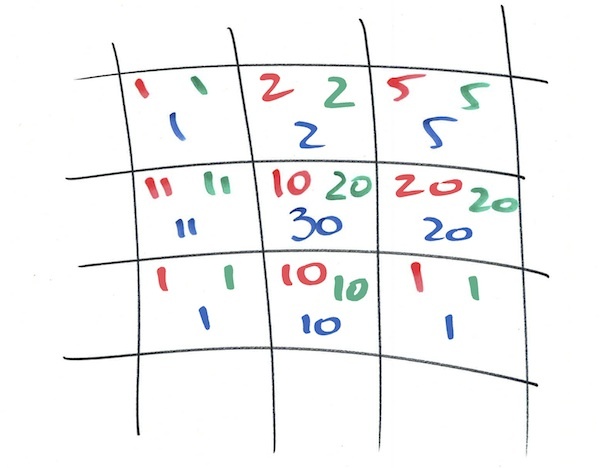 You take each of the 9 R values you have and multiply it by the corresponding number in the matrix. Then sum the nine numbers. If the convolution asked for an offset, you add it to the end result. Then you repeat the same for Green and Blue. You can do alpha if you want but for regular images it has constant 255 value so you'll do a lot of math and end up with 255. This way the result image is as bright as the original. 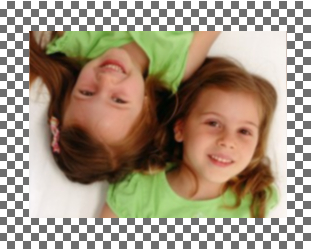 If you have an unbalanced matrix you'll get a darker or a lighter image. The offset is 0 most of the time, but not always. The emboss effect has offset 127 for example. My demo uses the most popular matrices out there. 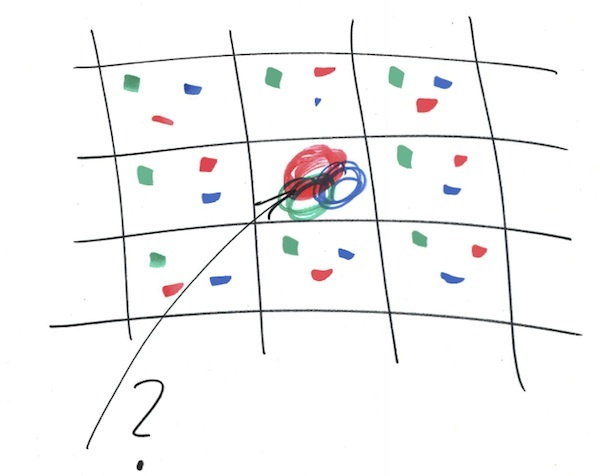 You can search the web for other matrices and play with them. None of them define a divisor because it's the sum of their elements, but the API I'll show you lets you use your custom divisor. The API is the same as in the previous post, same constructor and all, just adding a new method called convolve(). This is where the magic happens. Again, 16 is optional as the method will figure it out if you omit and offset is optional too. Actually you can go to the demo and play in the console to see what happens with a different divisor, e.g. Some comments on how convolve() was implemented in this demo. 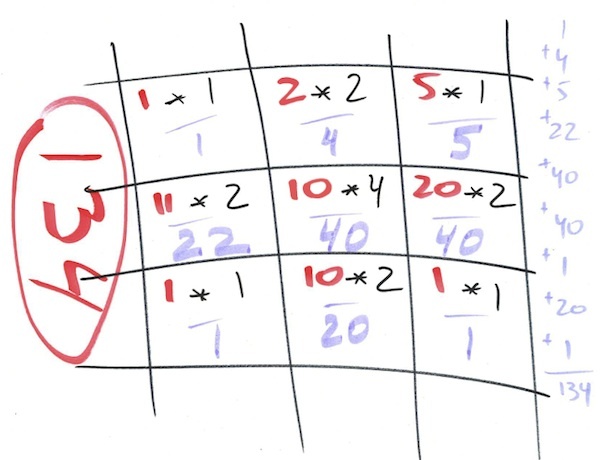 Handle arguments: flat matrix is easier to work with and figure out the divisor if missing. How 'bout that array reduce, eh? ES5 ftw. 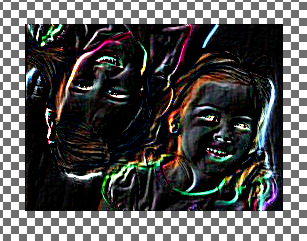 Then a loop through all the image data, filter out every 4th element (because we ignore Alpha channel) and write the new image data to the canvas. Remember that canvas image data is one long array where 0 is R for pixel #1, 1 is B, 2 is G, 3 is Alpha, 4 is R for pixel #2 and so on. This is different than more other code examples you'll in different languages where there are two loops in order to touch every pixel: one from 0 to width and an inner one from 0 to height. these are the pixels we want to inspect. oldpx[i] is the one in the middle which we're changing to newpx[i]. Also note how we default all pixels to oldpx[i]. This is to deal with the boundary pixels: tho top and bottom rows of pixels and the left and right columns. Because the pixel in position 0x0 has no pixels above it or to the left. 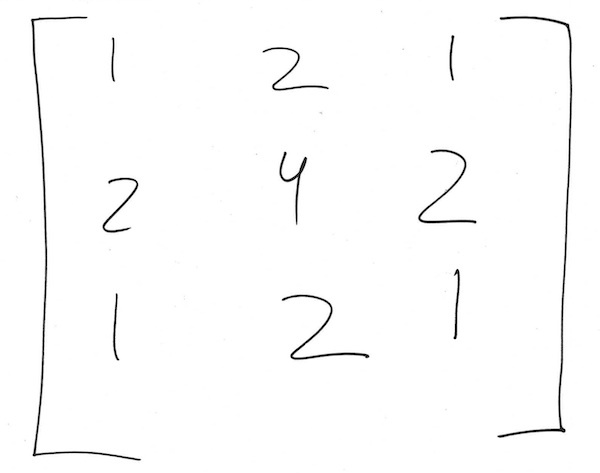 Then we loop through these and multiply by the corresponding value in the matrix. Finally divide and offset, if required. 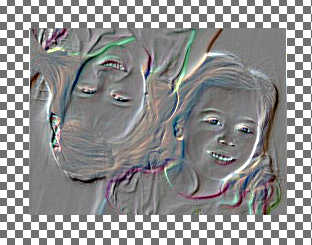 If you want to apply convolutions on top of each other, you can reset the original image data to the current.